BOR Outdoors llc – European Taxidermy – The Other Head Mount! See prices page for more info or contact us! 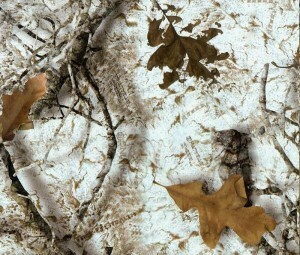 Have your Skull Camo’ed Here! Electric Hoist onsite for skinning! Borreson Outdoors and Recreation is a custom taxidermy woodworking and European Taxidermist company, located in western Wisconsin. We manufacturer all of our own Taxidermy Panels, European Pedestals, Turkey Fan Mounts, Plaques, Bases, Pedestals, Display Cases and much more. We have a very close relationship with taxidermists so we can provide them with custom made pieces-designed to there customers liking. Often custom made to each trophy without the custom price! We also offer Year Round European Skull Cleaning using Warm Water Maceration. Our degreasing and whitening process is the best available, making for the cleanest skulls on the market. 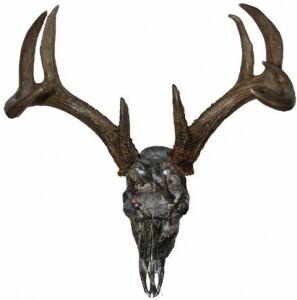 If your looking for skull or European taxidermy mount you have come to the right place. 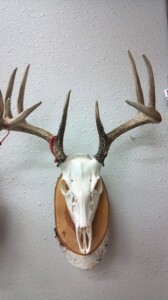 If you’re a taxidermist you owe it to your business to check out our wholesale taxidermy price list, and what we offer. Free delivery with qualifying order, to most of Wisconsin, and parts of Minnesota, or Iowa. Wholesale pricing is available for taxidermists. Please call ahead to make sure we are in. Weekends - Please make an appointment.